If it’s been a dream of yours to own your own home, you know how much work goes into preparing for the buying process. You need a reliable job, secure finances, and to be able to handle the responsibilities of home ownership. If you’re ready and considering looking for your very first home, you’re in luck! The market has never been more competitive. It is the perfect time for first time buyers to jump in and find the perfect home! With the current strength of the market, buying has become a competitive process and as the area continues to grow, the market will become more competitive. In a competitive market like this one, things like multiple bids on one home are fairly common. That may sound like a drawback, but with the right real estate team to help guide you, it means that you could be in the home of your dreams before you know it! Buying a home is serious business, and before you jump in head first you need to consider all the possibilities. Owning a home is not like renting. You don’t get to call someone up when there is a problem with the water heater or if the roof starts leaking. Those problems will be yours to deal with on your own. However, with great responsibility comes great reward. If you own your own home, it’s a blank canvas for you to do what you want with it. You can design it freely to suit your family, and it is the place where you will live comfortably. Your new home will be a place where you can make memories, for years. Before you get a realtor and begin the process, here are a few things to ask yourself. I can’t state how important it is to figure out if you’re completely ready to own a home. If you’re not sure, take the necessary time to clean up your finances, and to learn as much as you can about the home buying and home owning processes. How much house do you need and how much can you afford? One of the first steps of the home buying process usually involves securing financing. Working with a lender to get a pre-approval letter gives you an amount to work with, so that you can find a home in your budget that ultimately suits the needs of your family. A good realtor usually works with a lender to help alert you to the best deals for first-time home buyers. For example, the lender my team works closely with has a variety of special programs for first-time home buyers that provide additional down payment assistance to those who might need it. Contact Us for more information! In a competitive market, having your pre-approval letter, and a firm grasp of what you can afford, can make all the difference in the buying process. Often, the family that is the most organized and ready to deal is the one that gets the home! How high is your debt-to-income ratio? One of the biggest things that could affect your chances of buying your dream home is your debt-to-income ratio. This is what you owe in comparison to what you make. Naturally, lenders are going to look at this very closely, and they would prefer to see you with a debt ratio that is lower than 40% of your income. Your housing debts should account for less than 32% of your income. 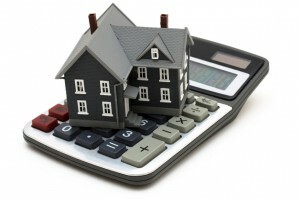 As any good lender or realtor will tell you, homeownership should not be a financial burden. If you want a home, they will do their best to get you one, but everyone should be sure that it’s a home that you’ll be able to afford long into the future. Do you want a single family home or a condo? What about a farm that allows you to have room for your horses? Is there a specific community, such as a golf course, you’d like to call home? Understanding the community where you’d like to live will help you to narrow down what types of homes you’re looking for, and the best place to find them. No matter what type of home you’re looking for, I can help with your dream of owning your first home! One of the biggest battles, when it comes to buying your first home, is going to be enlisting the best realtor to help you with your needs. In the current competitive market, you need a real estate agent with a great team that uses all of the technological advances available to them to ensure that you end up in the home of your dreams! There are a number of old-school agents out there that rely on the old methods in real estate to help their clients find homes, but as things change, these methods are becoming less reliable. I should know, my ENTIRE family has been in real estate since the 70's! My team will utilize every tactic on and off the Internet and we will continue to fight on your behalf until you get the home you’ve always wanted! A great agent works with their team to help the home buyer. Home buying can be a complicated process, and it can also be an emotional one. We’re here to take the frustration out of the process for you. We will do our best to help prepare you for any issues that might come up in the home buying process. 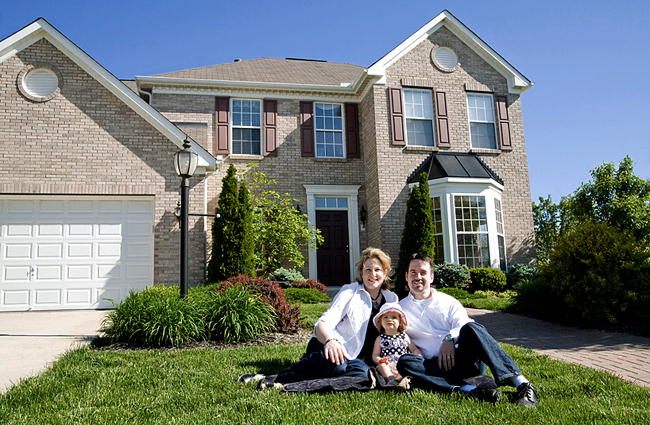 We will help find the right first home for your budget, and for the comfort level of your family. During the offer-making phase, we will go over your best chance to get the home you want, and though it can be an emotional process, it will be one that we will make as easy for you, as possible. If the home has multiple offers, we might suggest a letter to the seller, or other tactics that will help give you a leg-up with the seller, so that you can get the home you want. These are the kinds of things that a good agent will do for you! There are a number of important and successful strategies that can be used when making your offer, and I will let you in on these things to give you a fighting chance to get the home you want. It doesn’t matter whether you’re paying cash or just have a pre-approval letter in hand. I’m here to help you, no matter your situation. As the buying process proceeds, and your offer has been accepted, it will be time to get a home inspection done. This is for your protection and I cannot state how absolutely important it is to do so. A home inspection will give you great insight to any problems in the home, which will allow you to either renegotiate your price or to ensure that the seller fixes any issues with the home before you take possession. Understanding your home inspection gives you a better chance to understand your future home, and to protect it. If there is something seriously wrong, you can negotiate, so that it will be fixed. 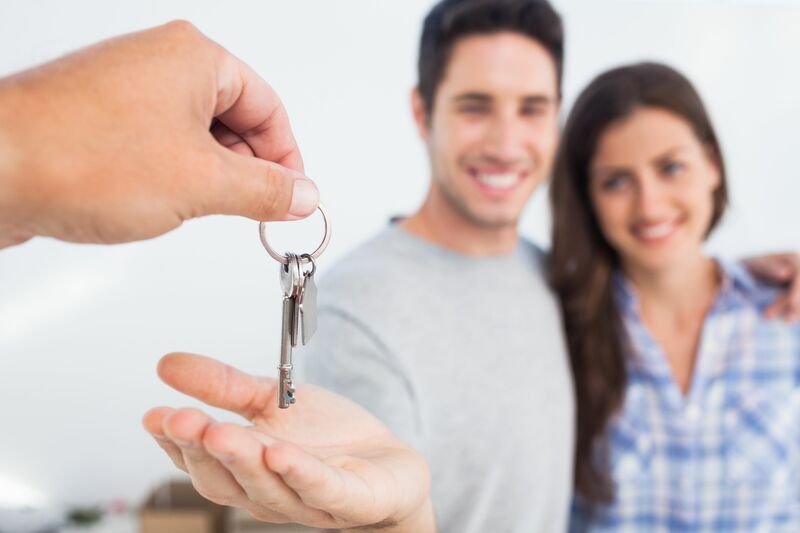 If nothing is wrong with the home, you can proceed through the home buying process with the security of knowing that it will be a good investment for years to come. I have some great inspectors that I work with that will help you with your inspection, and help you understand the outcome of the results. Tri-City Home Inspections and Above and Beyond are the two companies that are on my preferred inspector list. Right before you take possession of the home, you’ll get a chance to go through the final walkthrough. This gives you one last chance to go through the home before the deal is done and the home is yours. While this is optional, it’s something I highly recommend to all of the people I serve. It’s an important part of the process, and one most people appreciate the chance to get to do. Once you’ve made sure the home is in order, and everything looks as it should, it’s time to sign the papers, and the home is yours! The home buying process doesn’t have to be a difficult one. I am here for you to make it easier. My team will work day and night to save you time and money. We won’t rest until you are in the home of your dreams! Contact Me if you have any questions!